I’m slowly figuring out exactly how big of a deal the iPhone has been. Were Apple’s results stripped out, Barclays Capital estimates earnings growth at S&P 500 companies that have reported fourth-quarter results would be 2.9 per cent rather than 7 per cent. Wow. Ok, well, Apple’s this awesome company with this gigantic array of awesome products, right? 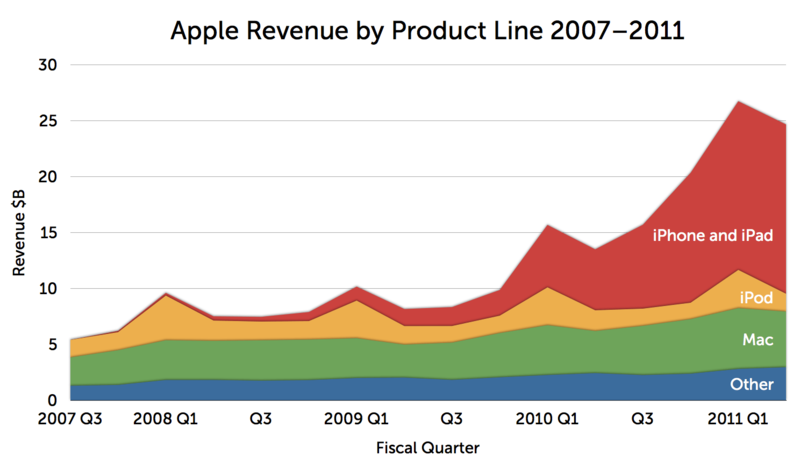 Apple’s spectacular growth has been down to the iphone (and now, perhaps, the ipad). The rest of the business is about the same as it was. Amazing. Except that growth isn’t about halo effects. Growth is about the next iPhone. This is a product whose success is so incredible I’m not even sure that’s possible! The iPhone is indeed the key to Apple’s success. Given the new competition with Samsung’s Galaxy S3, I am not so sure whether Apple will still be that successful in the years ahead.